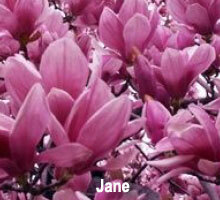 If you've ever visited the Southern United States, you know how well-loved the Magnolia tree is. It is the state tree of Mississippi, the state flower of Louisiana. On the grounds of the state capitol in Columbia, South Carolina, you will find huge magnolia trees surrounding the building. Quite a sight! 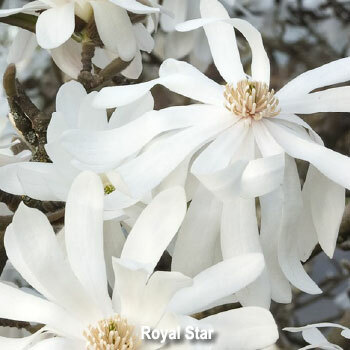 Well known for their large, aromatic blossoms, these beloved southern belles are also a popular addition to Northwest landscapes. The large, lush, shiny, deep green leaves create a gorgeous canopy of shade from the hot days of summer, a perfect place to relax and enjoy your backyard. 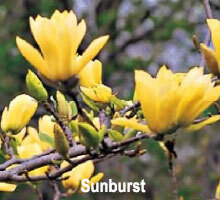 oasis Magnolias also attract songbirds to your yard, providing them with both seed and shelter. 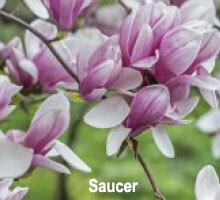 When they bloom in the spring, many varieties offer a sweet, intoxicatingly strong aroma. We recommend you call us to confirm availability of specific varieties. Don't see the one you want? Contact us and we'll order it for you. An excellent article from Gardening Know How can be found here: https://www.